Usually, drones including a camera can easily take you above $1000, but luckily for you, we discovered cheap drones with camera you can purchase. The Holy Stone F181 is a great drone with HD camera. It offers wonderful continuous roll for perfect action due to its 360° four- ways flip (left, right, forward, backward) key. The drone also comes equipped with a headless security system made to prevent from losing it. And it’s appropriate for any level of player. Plus, if you want a great altitude hold function for your drone, this is the one. F181 has powerful air pressure altitude hold function, allowing you to shoot quality images or videos. Another great advantage is its wind-resistant characteristic which permits you to fly it indoor or outdoor. A safe, easy to fly drone, the MJX X400 Drone offers you the possibility to see exactly what your camera sees. But in real time! The First Person View (FPV) real time transmission allows you to connect to your iOS or Android smartphone. This means you can see directly on your phone what the drone is recording using a WiFi 0.3 MP camera. So you can enjoy the world above the horizon by simply connecting to your phone. Of course, this is an amazing feature for a device coming at such a small price. With the latest technology of 6-Axis Gyro flying control system, it’s very stable and can take better pictures. 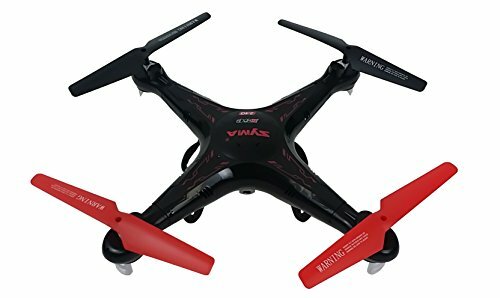 Because it can finish the 3D roll with one key, this drone is very easy to use even for the beginners. What’s more, it has the headless mode, a method implemented on a drone that allows you to give up worrying about orientation. Simply speaking, when you choose a headless mode, your drone will go to left when you pull the left transmitter stick and go to right when you pull the right all the time. Another cheap drone with a HD FPV camera is the HS110. 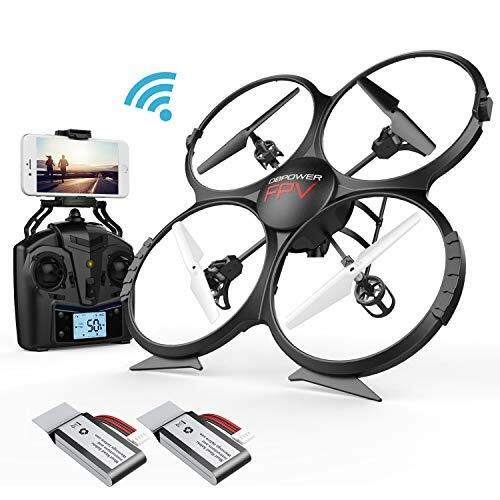 With its First Person View 720P HD real time video camera, this drone enables you to take aerial videos and photos with your iPhone or Android phone device. It provides real-world experiences and, nevertheless, more excitement to users. Basically, it’s very easy to control the drone using smartphone in the App to activate multiple functions. For instance, the Gravity SENSOR Mode allows you to control the flight by holding and moving the smartphone accordingly. Just operate the camera function and flight on the App interface. Another great function is the Headless Mode. This is great because it permits you to control the drone even when the drone is out of sight. The function depends on the direction of the user. You can also avoid drone being lost, and drive the drone back with the simple click of a button using its One Key Return Home Function. 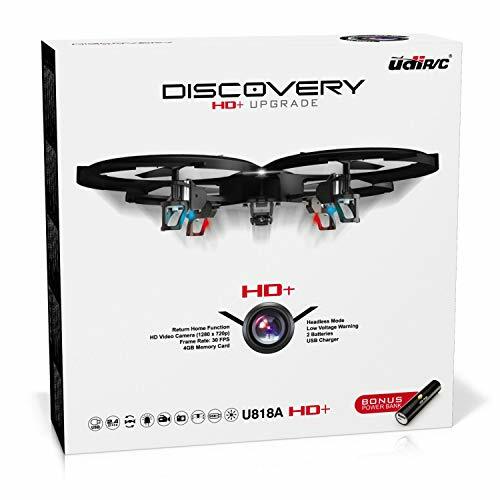 The UDI U818A Quadcopter drone is incredibly easy to control and fly. You can enjoy live video feed of your flight from the iPhone or Android smartphone. All you have to do is download the App on your mobile phone and connect with your WiFi drone, which allows you to fly your rc drone forward, backward, left or right in correspondence to the angle at which you hold your mobile device. And what is great is you can now be in total control. Although the real time images on the APP may freeze or twist, the recorded videos which have been saved in the TF card and your smartphone will be clear. You’ll see that flying the U818A WiFi Drone will be remarkably intuitive and easy for you. The U818A quadcopter has powerful, ultra-responsive motors. The headless mode, the low voltage alarm and the 360° flips function ensure you full control over the quadcopter. So, this drone is quite suitable for pilots aged 14 years or older. A great drone with a 720P HD real time camera, the HS200 offers great features. The 2P FPV camera enables you to take aerial videos and photos with your iPhone or Android phone device. This is a wireless transmission device added to the remote control aerial model. All the real time view can be seen through the screen on the ground. Therefore, you will have real-world experiences with the aid of your drone. Also, due to its powerful air pressure altitude hold function, you can easily release the throttle stick and the drone will keep hovering at the current height. To be more precisely, it’ll be super easy for you to shoot quality images or videos. Its Gravity SENSOR Mode allows the user to control the flight by holding and moving the smartphone accordingly. So, you can just operate the camera function and flight on the App interface. Another great feature is the 2.4G technology that makes it possible for several models to be played at the same time without interference. The easy to maneuver, UDI 818A HD+ Drone is ready to fly straight out of the box. It’s really lightweight, 5 oz frame excludes it from FAA registration requirements. Also, the headless mode eliminates the differences that appear in the drone’s direction. So, the direction will be the same as your transmitter which is a great bonus for beginners. You can take high-definition pictures and videos during the flight. 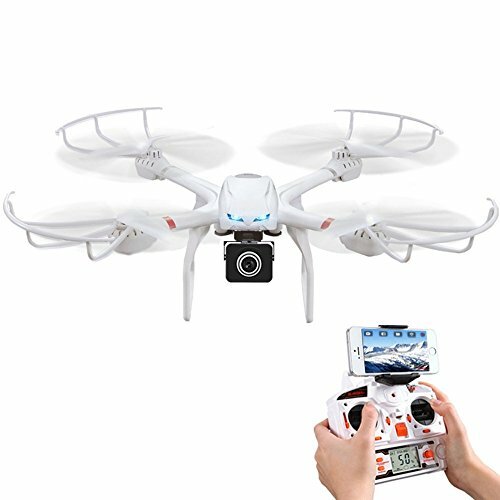 This drone includes a 2MP camera with upgraded 4GB Micro SD.The newly upgraded HD+ 720P Camera gives you high quality aerial videos and photos. The forward-facing stationary HD camera takes HD video and HD photos with great color and white balance. Movie resolution has also been upgraded to 1280 × 720 at 30 frames per second. Plus, the 6 axis gyro provides stability, strong wind resistance and easy maneuverability for stunts. Its strong powerful motors enable the drone to fly much longer and more efficiently. Also, the performance-enhancing highly elastic plastic protective frame acts as an anti-collision safety mechanism. If you are looking for a worry free, easy to operate, and simple to control drone, the UDI 818 HD+ with Headless Mode is the way to go. 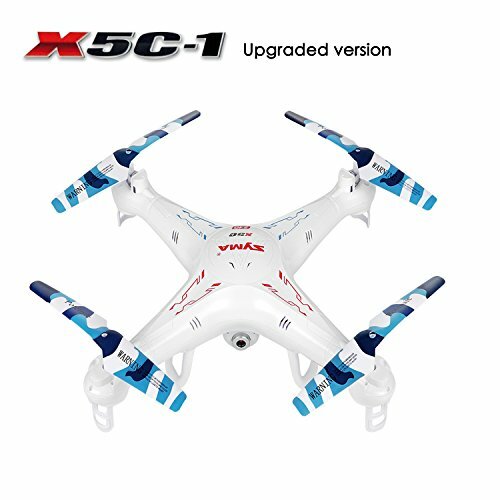 The Syma X5C-1 is an upgraded version of the previous camera drone. Once the Syma X5C-1 takes off, you will directly notice a difference in power and flight control compared to its predecessor. The 6-axis flight control offers you f stronger wind resistance and mobility for roll, pitch, and stunts. This drone is very easy to maneuver and it’s very stable to fly at different speeds and direction. 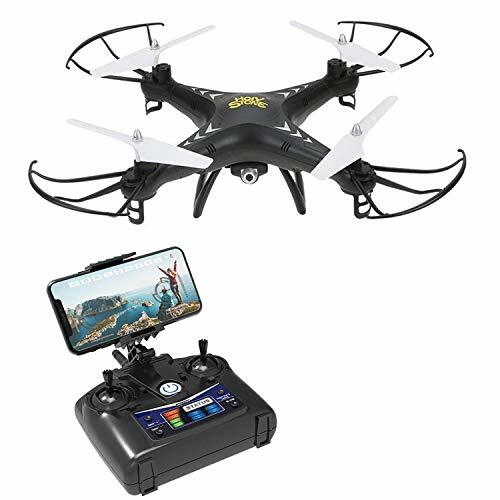 Featuring highly anti-collision elastic plastic protective frame, a very well built and strong piece of equipment that can handle more crashes that regular quadcopters, this drone is an excellent inexpensive option for beginners. This Babrit Uplay drone has great real time transmission for videos and photos. Due to its built-in camera, you can monitor real-time videos with your Phone directly. By using Headless/IOC, the forward direction has nothing to do with that direction. Therefore, this lessens the steepness of the learning curve. The Headless function allows the pilot to enjoy flight while slowly learning each specific orientation of the quadcopter. Once you press the button, the quadcopter will automatically return follow the direction of the transmitter Under Headless Mode. Also, due to its one key 360° continuous roll, you’ll have perfect action and wonderful performance. It’s safe, easy, and fun to fly. Flying has never been easier with AKASO X8C, thanks to its built-in 6-axis gyro quad-rotor and the stabilizer flight control system. This control system provides stronger stability, wind resistance and, of course, makes it a lot easier for you to control the drone. The agile remote control is a great plus in your flight and that is attributed to the compact and intuitive handling with comfortable tactile material and vibration signals. 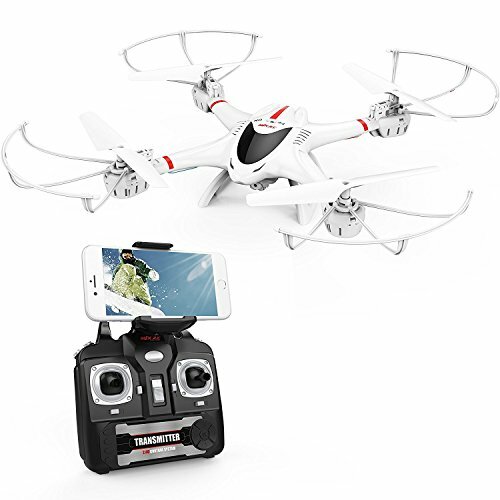 Its built-in HD camera allows recording video or snapping photos when flying with the push of a button. You can now capture everything you want from aerial view shots and see the world from a brand new perspective. Plus, the 3 flight mode levels are available to accommodate you. Equipped with headless function, AKASO X8C frees you from identifying the usual directions, you can now enjoy every single flight while slowly learning each specific orientation of the drone. The X5C in an exclusive black color way is the newest camera quadcopter released by Syma. 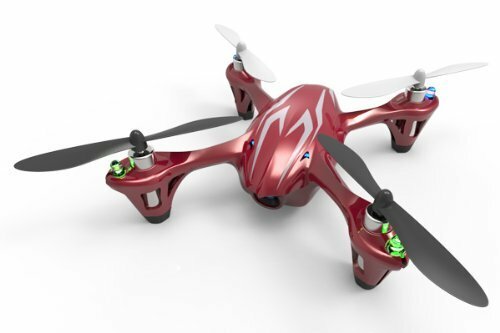 This drone blends style, function, and fun along with the reliability and quality that Syma is acclaimed for. Each quad comes with optional prop guard that is easily removable for an enhanced flight experience or attached for protection. Also, the device is equipped with an HD camera (that can be attached or detached). This Syma incorporates a 6-axis gyro stabilization system for flight versatility and flexibility which makes it for indoor or outdoor flights. 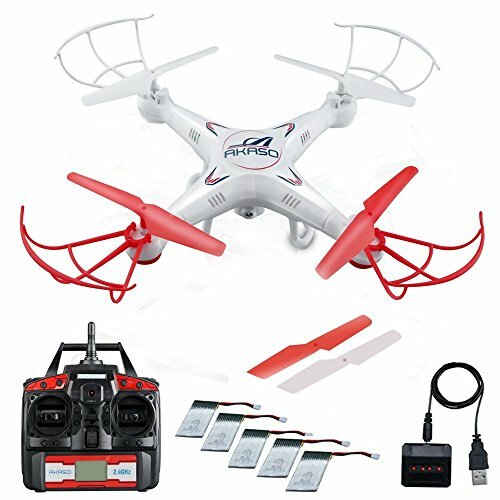 Designed for simplicity and equipped with powerful features for image capturing and video recording, this drone is perfect for beginners but also for experienced pilots who want to improve their skills. Are you interested in Gyrocopters? Don’t forget to check theme here in 7 Gyrocopter for Sale post. The H107C permits a super stable flight due to the latest 6-axis flight control system with adjustable gyro sensitivity. Plus, the 4 channels lightweight airframe offers higher durability. Its HD camera includes a video recording module (which requires a Micro SDHC card). 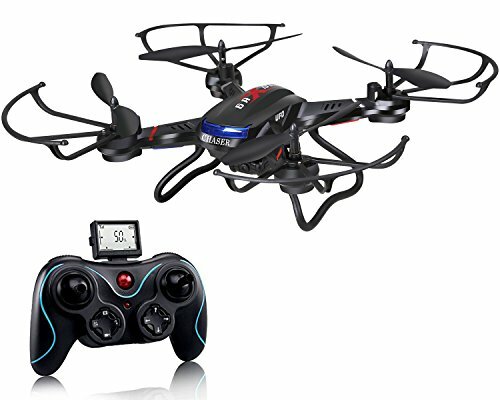 You can fly it indoors or outdoors, using its 2.4GHZ 1 x 2.4G remote controller and record memorable images and videos for a great price. With just one press you get 360-degree flip. You can now continuously roll the quadcopter and do tricks to have fun, to gain experience or simply to learn how to fly. The colorful flashing lights also make it fun to play during the day time or night both indoor or outdoor. Now you can learn how to maneuver your drones for impressive aerial photos. The exclusive RealPhysics™ technology in RealFlight Drone recreates multirotor aircraft and flying environments with exceptional accuracy. The InterLink Elite Controller works like a real, high-quality drone flight transmitter and has the same controls — even digital trims. If you already own an RC transmitter, you may also be able to fly your drone simulations with it using the InterLink Elite’s built-in interface. 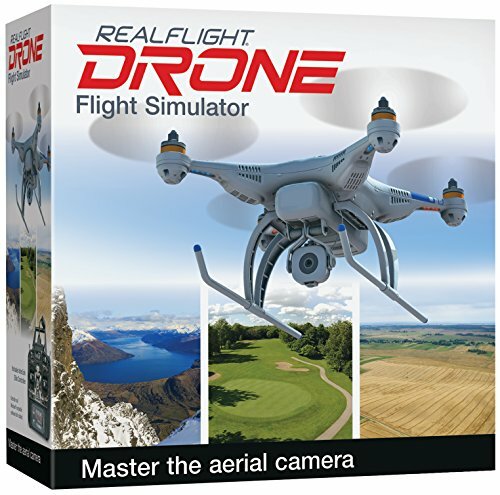 Not to mention that the package includes RealFlight Drone Flight Simulator Software and InterLink Elite Controller with adapters for use with trainer jacks. You can learn how to maneuver your drone for impressive aerial photos. Plus, you’ll develop FPV camera and gimbal control skills to find the best angles, while also protecting your drone and camera investments by mastering new skills risk freely on your computer. Whether you’re just beginning to explore the world of drones or maybe you want to develop aerial photography skills that will help you take better pictures and videos, this is the best solution for you. Check out our DJI Mavic Pro Review. So, here you have it. 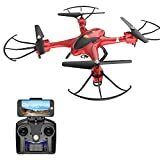 10 cheap drones with camera from which you can choose without worrying you won’t receive great quality for a great price. You can now start flying your drone and at the same time enjoy real-time videos or high-quality photos.